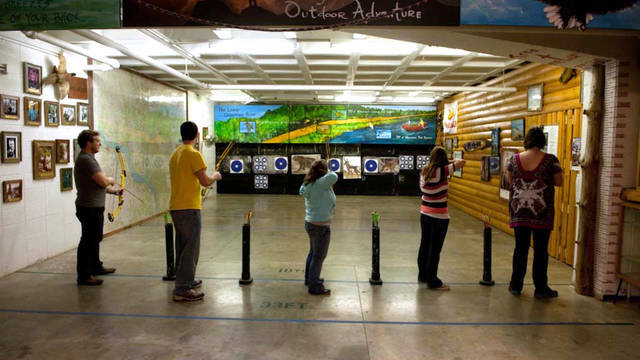 Welcome to the Environmental Adventure Center at UW-Eau Claire. We sincerely hope that the following information serves as a guide for planning your outdoor schedule. 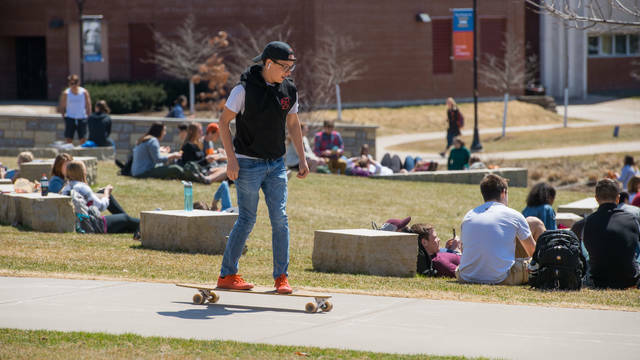 We welcome the opportunity to introduce students and faculty/staff to the outdoors by providing a variety of activities designed to fit your needs. We truly hope that all of you find something fun, new, and exciting in our programs, and that sometime during the course of the year we have the opportunity to meet you. We are located upstairs in the Hilltop Center behind the bouldering wall, and can be reached at (715) 836-3616. 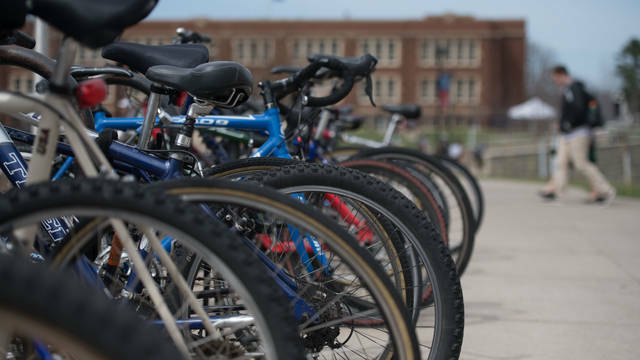 Looking to rent a bike or bike locker? Need to get your bike or longboard serviced? You're in the right place! 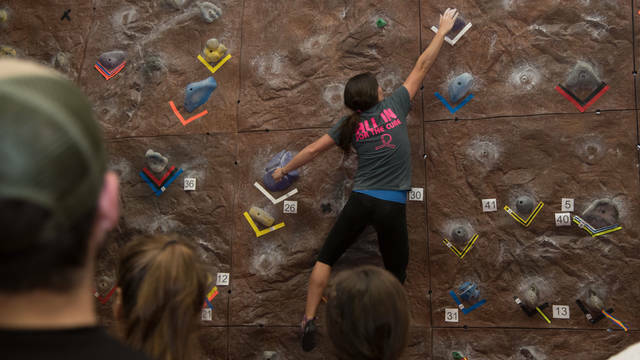 The indoor climbing wall in the McPhee Center covers 65 feet of wall space, incorporates one corner, and stands approximately 28 feet high. 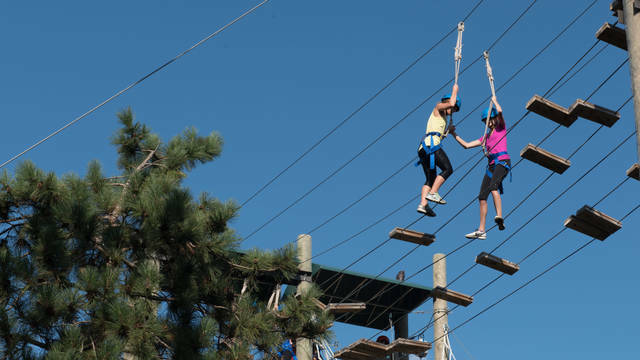 The Eagle's View Challenge Ropes Course offers a series of activities designed for individual and group participation regardless of age, physical limitation or ability level. 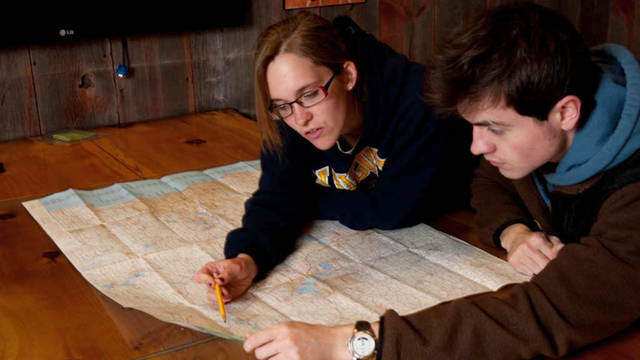 The EAC Rental Program at UWEC maintains the largest inventory of outdoor equipment in the Eau Claire area. 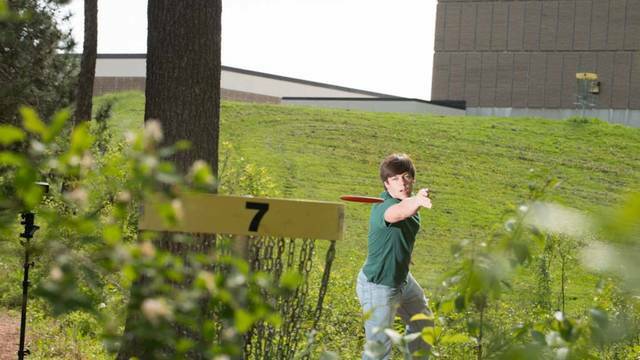 The Campus "9" Disc Golf Course is comprised of 9 holes that are played much like traditional golf.